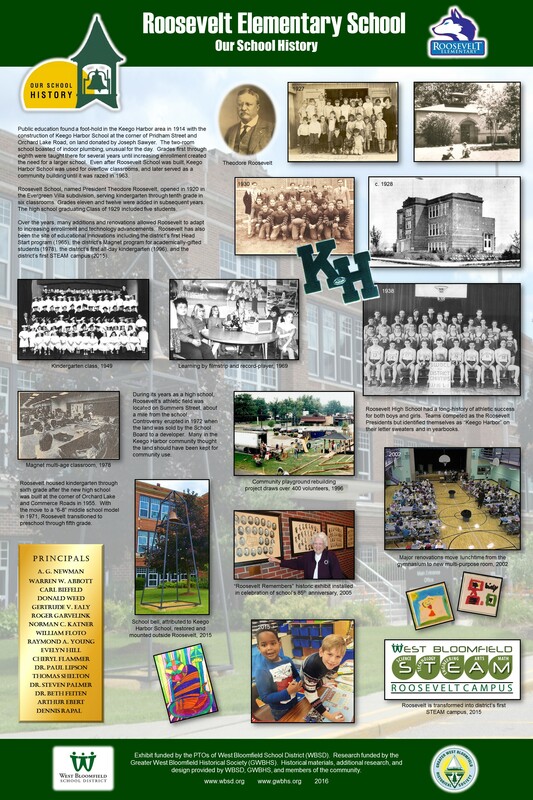 Our School History is an ongoing project of Greater West Bloomfield Historical Society (GWBHS) to document the history of area schools. Formerly known as Called by the Peal of the Bell, the project has required countless hours of work from a team of dedicated volunteers. 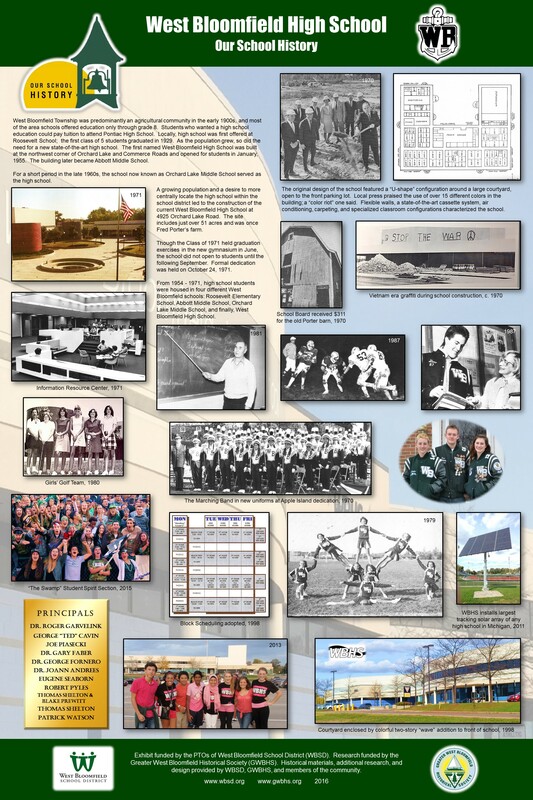 Researchers have gathered information from the school district and from the GWBHS archive at Orchard Lake Museum. 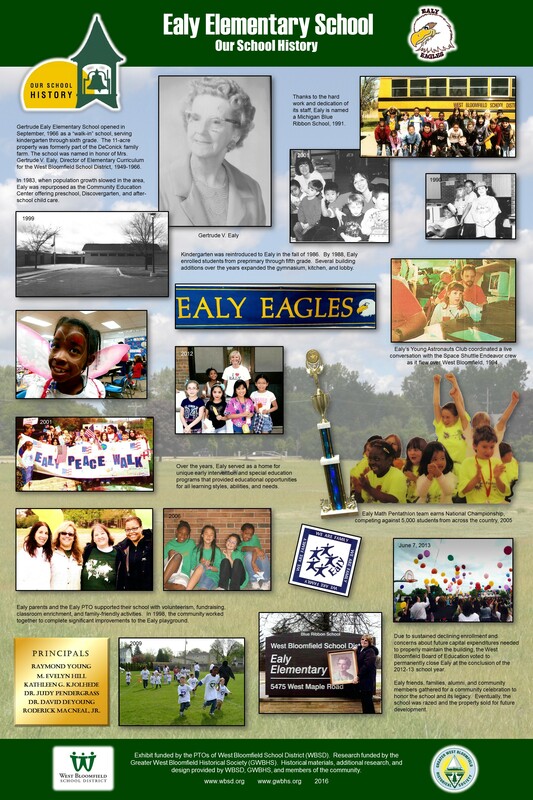 Volunteers also implemented a community outreach campaign to seek information from members of the community. 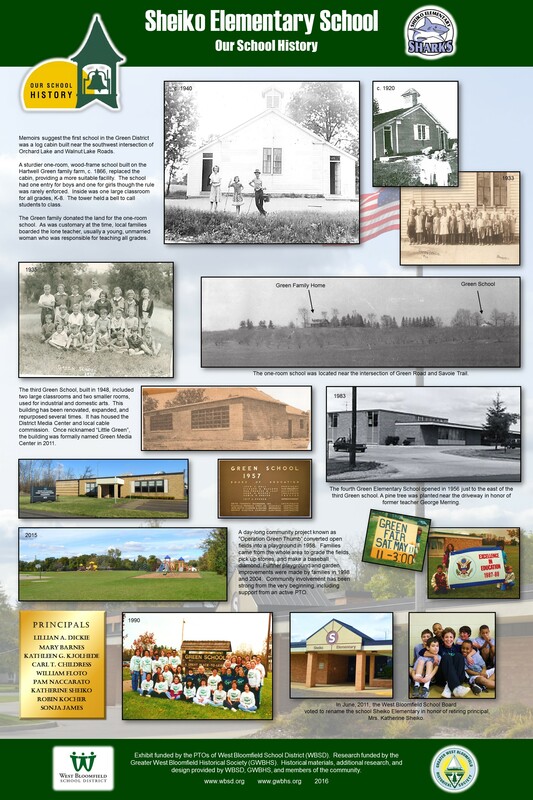 Reports about the histories of many of the schools are currently available below, and this information will be expanded as the project continues. 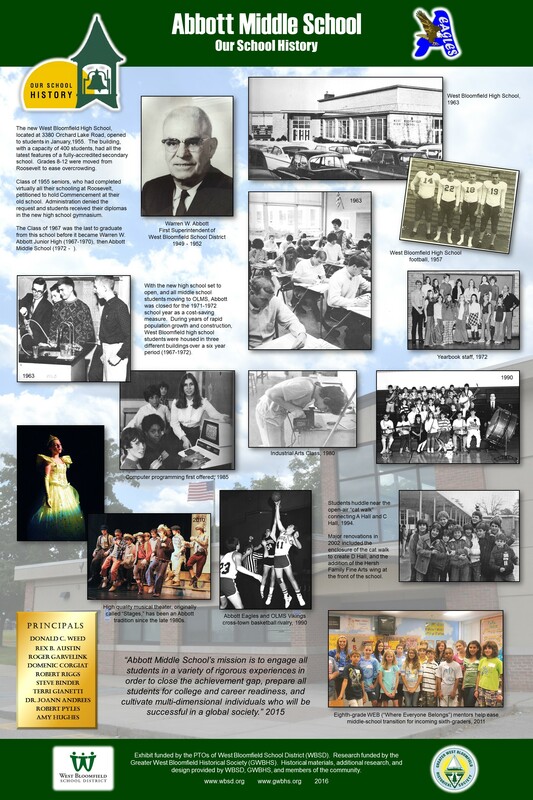 In 2016, West Bloomfield School District (WBSD) schools will install informational panels at the school buildings detailing the individual histories of each school. 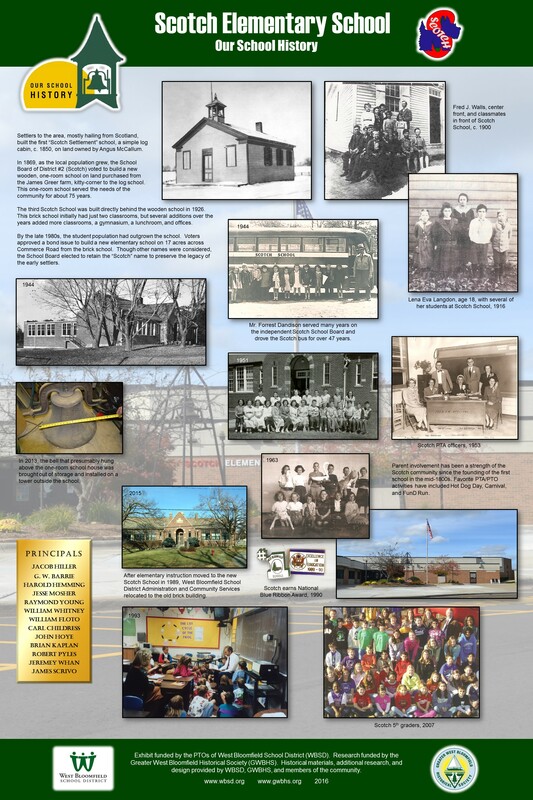 GWBHS and WBSD celebrated this major milestone of Our School History with an unveiling of the panel designs in March 2016. 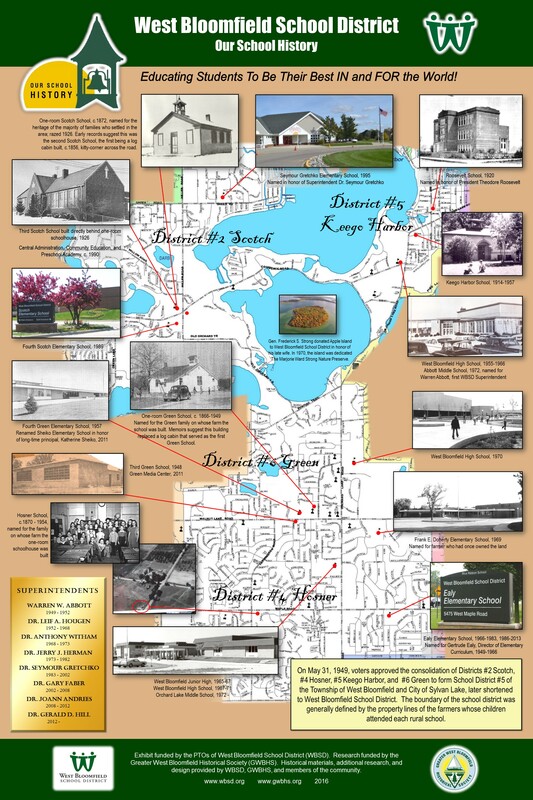 West Bloomfield, the township of lakes and gentle hills, is one of transformation from wilderness beginnings and the domain of the Indian for some 12,000 years to agricultural prominence, to vacation dreams and summer resorts, to now established suburban living. The natural beauty and resources of its residents have played a key role in its growth. Since its earliest settlement, these residents have been deeply committed to education as the key to passing on their heritage and preparing their children to shape the future of our township. 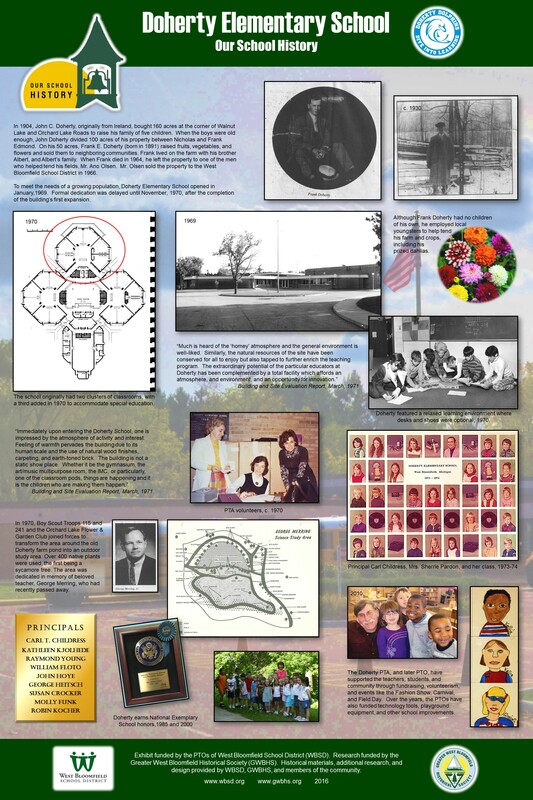 Peal of The Bell chronicles the community’s history to carry that mission into the 21st Century. 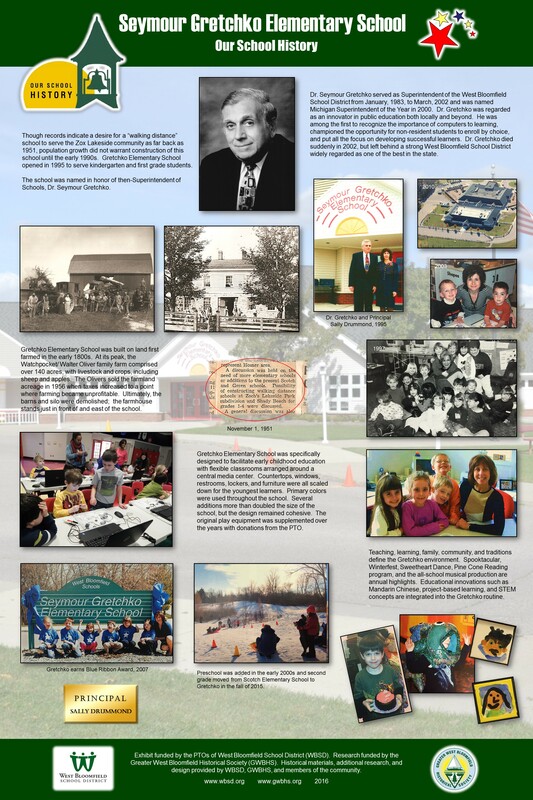 This report includes a virtual exhibit of photos and documents of the history of the schools serving children living in West Bloomfield, Michigan. Like other more traditional museum exhibits it combines original artifacts and primary documents with text, captions, and analysis to help the reader understand the importance and significance of these items. This presentation allows you to enlarge images for closer inspection or readability because we believe that a picture is worth a thousand words. You might want to focus on people’s faces to see if you recognize them or to examine their expression. Perhaps you want to study clothing styles, penmanship, or advertisements of the day. These images also help you to visualize the environment of the scene and place yourself within it. 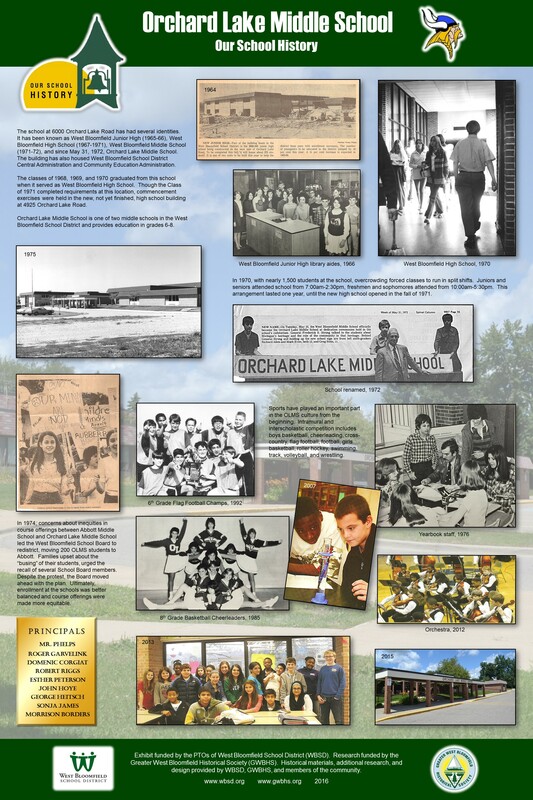 Many of the pictures in this exhibit are actual original documents and artifacts produced by the people who made the history of West Bloomfield Schools. Examining them will bring you one step closer to the events that shaped our current school system.